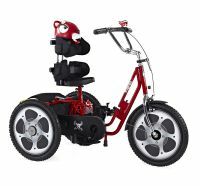 Listed here are two-wheeled cycles, designed for children with restricted growth. 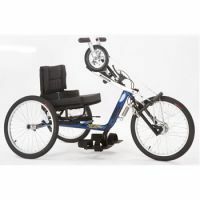 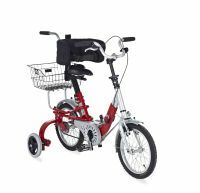 They may include features such as an adjustable seat position, specialised handlebar position for children with shorter limbs, shortened cranks to reduce the pedalling arc, smaller brake levers and narrow diameter handlebars. 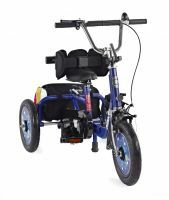 If conventional two-wheel cycles are unsuitable for your child due to balance or co-ordination problems, a tricycle or a bicycle with stabilisers may be helpful. 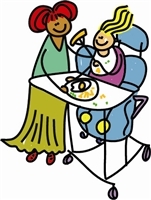 If you are a parent of a child with restricted growth, you may like to get in touch with the Restricted Growth Association (RGA) who are a UK based charity providing information and support to improve the quality of life for persons of restricted growth, and their families (The Restricted Growth Association).